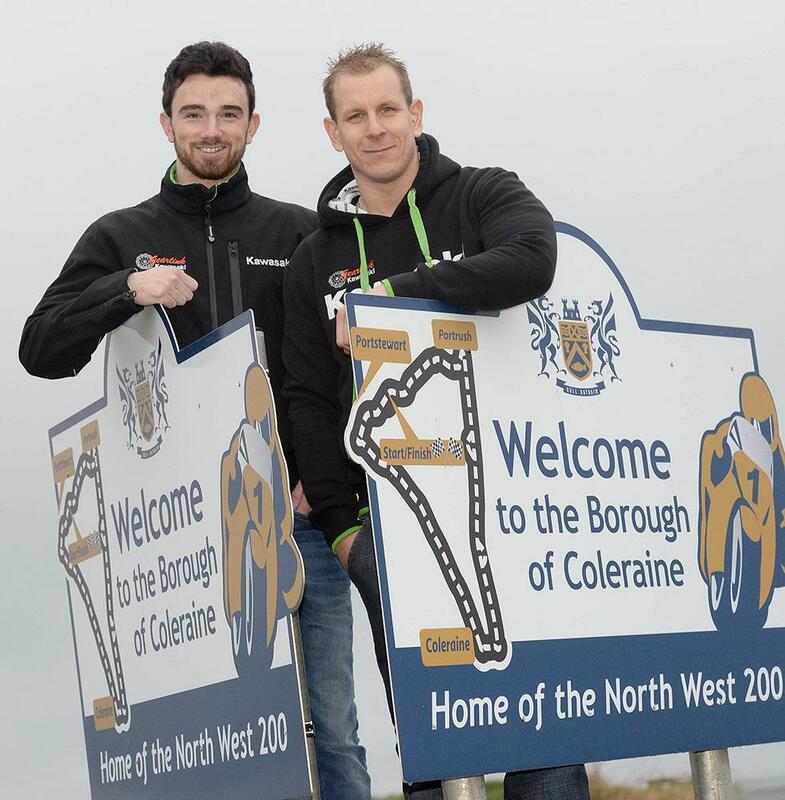 The 2015 Vauxhall International North West 200 has been given an early boost with the announcement that Gear Link Kawasaki duo Glenn Irwin and Ben Wilson are to be on the start line at the seaside venue next May. The teammates will race their British Supersport championship ZXRs in the three 600cc races at Portrush and Irwin will also ride in both Supertwin events on the VRS squad’s ER6. The 24 year old Carrickfergus rider made his road racing debut at the Ulster Grand Prix last August, leaving Dundrod as the fastest ever Supertwin rider over the 7.4 mile circuit. Irwin is confident that he will be able to have a similar impact at Portrush on his NW debut. 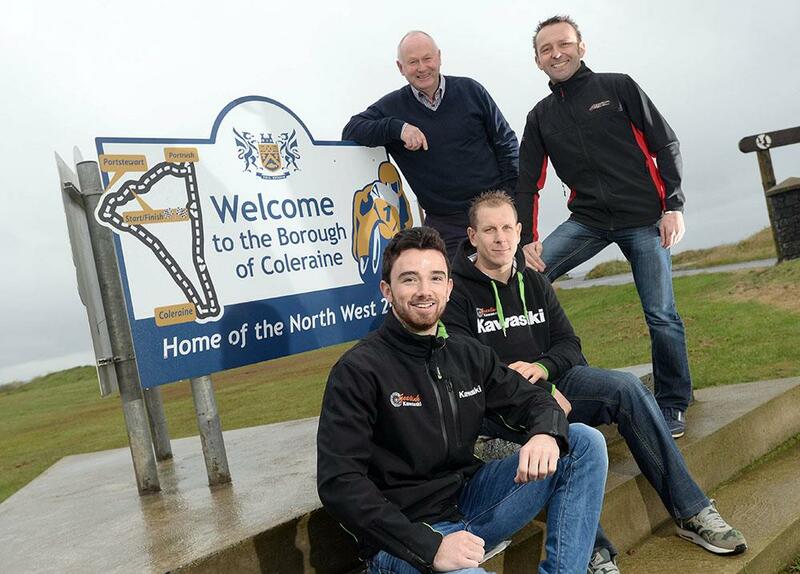 “I want to ride the North West and be competitive.” he said after visiting the seaside circuit this week. Irwin, the son of 80’s and 90’s road racing legend, Alan, is on a high after finishing fourth in this year’s British Supersport championship. “In the 600cc class I will be on a bike I know and hopefully by the time the North West comes around I will have had some British championship wins under my belt.” he predicts. His older teammate is slightly more cautious in his approach to what will be his pure road racing debut. “I saw the track in 2013 when I was at the North West as Alastair Seeley’s teammate and I just fancy a go at it now.” Wilson says. The Lincolnshire rider has plenty of experience having raced for the Gear Link squad since 2009. He lost out to Alastair Seeley in the 2011 British 600cc championship by just one point but he is not predicting such a close finish against the 10 times NW winner next May. “I think that I will have to come back and get in a few more laps.” the 32 year old said after driving the circuit this week. Wilson says he isn’t bothered by the fact that he will be rubbing elbows with the world’s best road racers in the mass start rush down into Primrose on his debut. “At one time it was their first time to road race too.” he smiles. “The roads guys know their game and we know ours.” he says. Eight times NW winner Steve Plater introduced the Gear Link duo to the superfast 8.9 mile course in his role as Rider Liaison officer and he was impressed by their attitude. “They have been soaking up everything that we have been talking about and they are fully aware that you can’t run before you walk.” Plater said.